The South was a paradise for some blitzing talent and ballhawks. Here’s the top 3 defensive players from the South! The mid-south division unfortunately suffered a pair of rain-soaked final game-days, so we were unable to retrieve readable stat sheets. 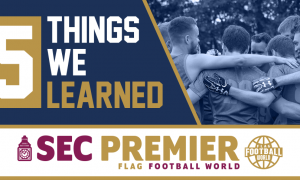 To compensate, we’ve treated this similar to forfeits, and not counted the fixtures against the players’ “Games Played”. Here’s the top 3 defensive players from the South! 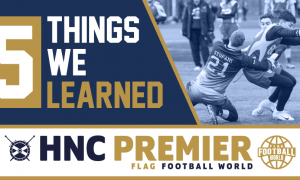 Ben represents the most rounded defensive player on our podium positions, as he managed to snag 9 interceptions and 3 sacks in the games recorded. His sole pick six was enough to have him pip some of the chasing pack to the bronze medal place! 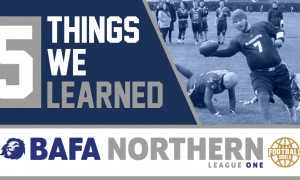 Alex is the latest product of the BAFA league’s equivalent to DBU, as the resident interception-machine tallied 12 interceptions in the 8 games we have on record, returning one for a score. Alex’s efforts earned the Titans White a shot at promotion this year, as they will be taking part in the promotion/relegation playoffs! This was another race that wasn’t close – Richard’s 19 interceptions led the South by a comfortable distance. 5, yes, 5 TDs from his defensive position in only 8 games gave Richard an insurmountable points total, as the Trojan powered his way to win this stat category! 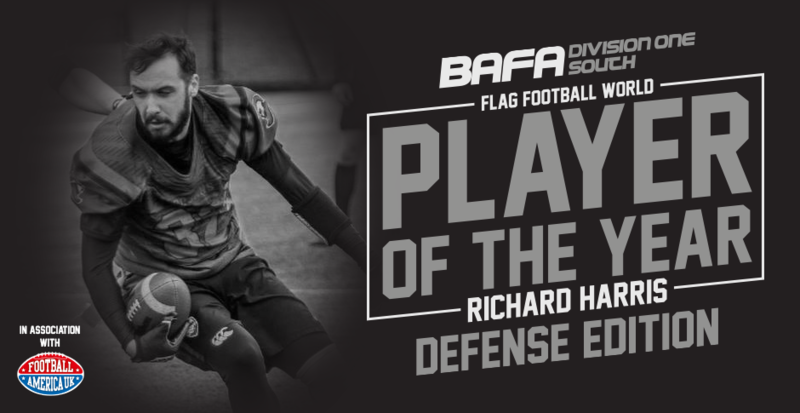 Richard’s play was a big reason for the Trojans’ success this year, as they decimated the South West division with an undefeated record. Some forfeits cost Richard the chance to put even more stats on the board! We spoke to Trojans QB Alex Thomas about Richard’s terrific season! Congratulations Richard! You’ll be receiving a personalised hoodie from Football America!